"Meet Me in St. Louis" is my ideal movie musical. It delivers memorable songs (which are seamlessly integrated into the story), lots of laughs and charming performances. I loved the subtle wit in many of the line readings, something that is rare in other more bombastic musicals. Judy Garland (Esther) is a treat to watch on screen, as she and Lucille Bremer (Rose) show the sly flirtatiousness of girls living in the more conservative early 1900’s. The film received 4 Oscar nominations – Best Cinematography, Best Original Song, Best Score and Best Screenplay. 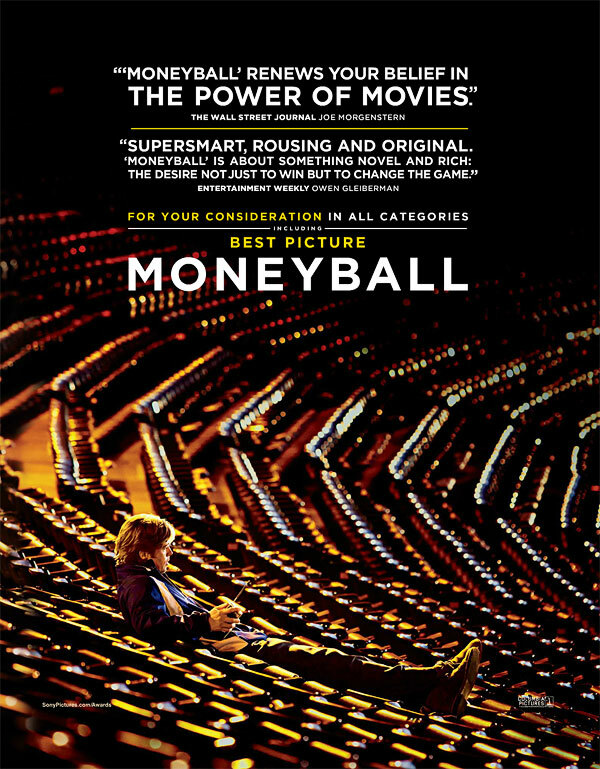 In the film, Billy Beane’s daughter sings "just enjoy the show" and that’s exactly what I did with Moneyball. The film is like a glass of fine wine (as opposed to a couple shots of tequila) as it is pleasing and soothing without being overpowering. The film is more akin to an arthouse/indie drama than a riveting blockbuster sports movie. The skill of all involved is plain to see, as the film is artfully done. Brad Pitt gives an effortless, "lived-in" performance as Billy Beane, making you feel like you are watching an authentic live performance. I was also pleasantly surprised by the restrained performance by comedian Jonah Hill. His chemistry with Pitt was a joy to watch and I got the sense that Pitt’s brilliance forced him to step up his game. I also admired the score, as it really helped to create the atmosphere, without being over-manipulative. Last but not least, the highlight of this film was the masterful screenplay. The story captivated me all the way up to the credits. In terms of Oscar potential, I expect great things. There should definitely be nominations (and possible wins) for Best Picture, Best Director, Best Actor and Best Adapted Screenplay. I also think Jonah Hill is a definite possibility for Best Supporting Actor and the Editing is also deserving of a nod. Although I think the academy will go for more prominent "showy" work, I think nods for Best Original Score and Best Sound Mixing could be on the cards as well. I hope the Academy embraces this film as much as I did, as it is my new favourite film of the year. I saw this film more than a week ago, so it’s not entirely fresh in my mind. 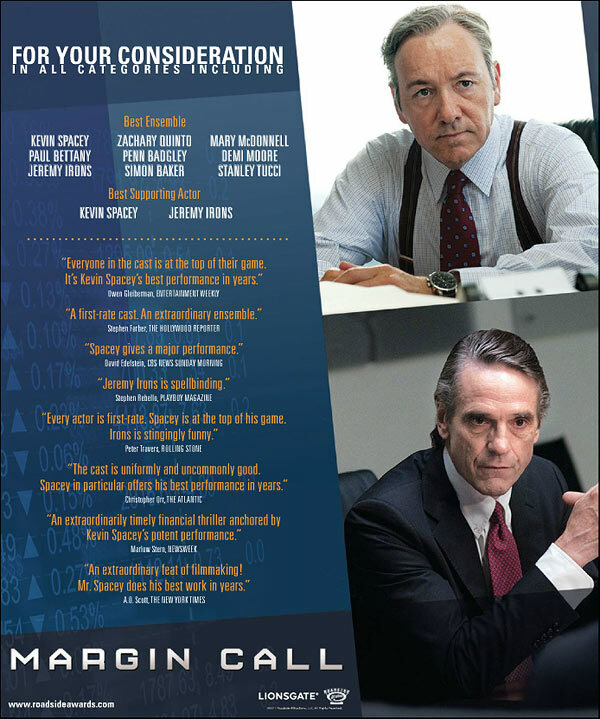 I have fond memories though, as “Margin Call” as an excellent film. The film has been picking up some late Oscar buzz following some unexpected success on the video-on-demand medium. Though I think it’s too small to gain any Best Picture traction, I think the entire cast is on their A-game and there are some truly Oscar-worthy performances among the bunch. Its hard to single anyone out, but it seems like Jeremy Irons and Kevin Spacey will get a push for Best Supporting Actor and I can fully support that. That category still seems wide open (the only “lock” right now is Christopher Plummer), so they definitely have a chance. The tight, thought-provoking screenplay contributes greatly to the film, so it might slip in to the Best Original Screenplay category. Only time will tell if this gets its Oscar story. Even without academy recognition this film deserves to be seen, I highly recommend it. This week's choice for Oldie Goldies is a classic of French cinema. Henri-Georges Clouzot's "Diabolique" is a creepy (especially in the leadup towards the end) Hitchcockian film that really gets under your skin. The black and white cinematography really accentuates the scariness of the dark shadows. 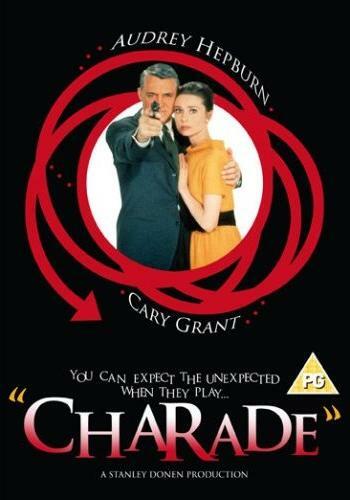 "Charade" is an exciting, well-made film. The editing, acting, music, screenplay and cinematography are all top-notch. 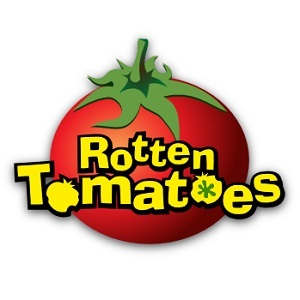 The overall design of the film is quintessential 60’s style. The film really makes good use of Grant’s charm and Hepburn’s beauty (costumed in Givenchy!). The LAMB (Large Association of Movie Blogs) is doing another edition of "LAMB Casting", where you can vote for your favourite fantasy cast of "Guess Who's Coming To Dinner". Head over there to vote (hopefully for my submission!). This week’s choice for Oldie Goldies is Frank Capra’s "It Happened One Night". As one of the last romantic comedies before the introduction of the MPAA’s production code, the film is underlined by some very subtle sexual undercurrents. To me, the highlight of the film was the slick performance of Clark Gable. The film created history at the Oscars, becoming the first film to win the "Big Five" (Best Picture, Best Director, Best Actor, Best Actress and Best Screenplay). "Who Framed Roger Rabbit?" is an entertaining film that captures the essence of 1940’s Hollywood. The acting, sets, costumes etc are all reminiscent of classic film noir. To this day, the special effects are still impressive. 2004 was one of my favourite years in film, with 6 films making my Top 20 of the Decade! Check out the list below, which starts with my number #1 - Million Dollar Baby. I wasn't able to find a classic film that I loved last week, but "Oldie Goldies" is back as I check out "Mildred Pierce". In retrospect, I kinda prefer the recent mini-series as it is truer to the book and features a deliciously devious and sensuous performance by Evan Rachel Wood as Veda (Ann Blyth is way too tame in the original version). I did however appreciate the film noir elements of the 1945 version, which gave the story some added tension. The film was nominated for 6 Oscars (Best Picture, Best Actress, Best Cinematography, Best Screenplay and 2 nods for Best Supporting Actress) with Joan Crawford getting the win for Best Actress.